Comments : We are so happy to have had Kelly along our journey to find our dream pup. Kelly was supportive, attentive and answered any questions or concerns we may have had. It was great to finally find an ethical breeder who is consistently striving for the betterment of the breed. We are so happy with our boy, Leo- his temperament and type are outstanding. Thanks Kelly for a great experience. Comments : Thanks so much Kelly for giving us the opportunity to own one of your pups. The whole experience of watching the litter grow from day 1 was really amazing & you made the whole experience of getting a new puppy really enjoyable & easy, right down to organising his flight to Sydney for us. One week in and we are so surprised by the wonderful temperament of our new addition. He is just such a great mix of playful, confident & outgoing yet chilled out, snuggly and easy to train. We are so happy with the whole experience and proud to have joined the Amstarfx family. Comments : Amstarfx aka Kelly was a website I had found online. Kelly has shown to be the upmost professional and 100% honest. My pup and experience has been fantastic. Mason is everything I expected to get from a professional breeder. The number one thing I enjoy is his temperament. Other dogs growl and bite him.. He don't care. More times than not Mason can turn a skittish or uncomfortable dog into his best buddie. These things come from good people combined with great genetics. Kelly is the real deal. She has my upmost support. Comments : This has been a truly wonderful experience. Kelly has been professional, supportive and genuine. She truly cares and loves this breed. My puppy arrived fit and healthy. Kelly kept me updated on his progress through messages photos and videos. She was always available whenever I had a question. I would highly recommend Kelly and AMSTARFX Kennels to anyone looking for a quality American Staffordshire puppy. Comments : We have just finished our first week with our little boy Judge, who we can't imagine life without. He is a beautiful, happy little pup with lots of energy. Kelly was so wonderful to deal with right from the get go. 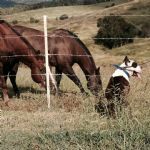 I was initially attracted to AMSTARFX because of the excellent webpage with great information about the breed and the beautiful dogs bred by Kelly. I was not disappointed. Kelly patiently answered all of my questions, before and after we took Judge home. We received lots of photo and video updates once the pups were born. She genuinely cares about the puppies, and also your experience as a new owner. If we are looking for another amstaff in the future we will definitely be getting back in touch with Kelly. Comments : Kelly has been amazing, very professional, and made the process super easy (especially considering we are interstate). We picked up our beautiful, happy and healthy girl Mollie last week, and instantly she was wagging her tail during our car trip home. Mollie is just so lovely (best pup of the litter we reckon), and she has gelled well with the family (our poodle, and 5 grandchildren). Everyone she meets, simply adores her. Kelly really does love her pups, and takes great pride and care in them (including aftercare). 100% would recommend Kelly to anyone after a beautiful American Staffie. Comments : Our journey with Kelly and Amstarfx began over 10 years ago. We knew virtually nothing about Amstaffs and needed the opportunity to understand if this was the breed for us. Kelly gave us tbe time we needed to learn and ask questions and we have never looked back! Kelly is a breeder with absolute integrity and true commitment to the breed. We are now 3 Amstaffs on and wouldn't go anywhere else for our Amstaffs. Our dogs have been well bred, the support and interest we have received from Kelly is top notch and we know if we have questions, Kelly is available. How could you go wrong with someone who seeks out accreditation when it is in its infancy? Thanks Kelly...we love our dogs and feel ongoingly supported to be the very best Amstaff owners we can be. Comments : Kelly is awesome. From the moment I contacted her I found her to be an open honest caring person. Kelly has helped me from the beginning and throughout with any info I may need. I added our addition Muttley to my family 19mths ago now and he has a beautiful temperament, is doing great at obedience classes, and has been adored by all who meet him. The process with flying him to WA was easy arranged and Kelly did a fantastic job in helping me with his flight. If your looking to purchase an american staffy,I do recommend AmstarFX Kennels. Comments : Kelly has been nothing but perfect to deal with in the process of purchasing our beautiful girl Koda. Koda came to us in a healthy and happy condition and we could not be happier with her and how Kelly helped us through this process! kelly helped us with questions before we got our girl and continuously after we got her. Koda is a strong and happy girl who loves to play and cuddle and is spoiled rotten! She is the perfect addition to our family and we are over the moon with everything! Kelly was nothing but perfect I cannot reccomenend her enough! Comments : Huge thank you Kelly for allowing us to add Prime to our family. He is magnificent and settling in nicely. We can highly recommend Amstarfx, Kelly was wonderful and we found her to be supportive, honest and reliable - nothing was too much trouble. We received many photos and videos until we could pick him up. Prime was obviously well loved and in excellent condition. Comments : Thank you to Kelly at AmstarFX she has been amazing, when I enquired about a pup Kelly was very quick to respond and happy to answer any questions I had, I received updates on the pup I'd chosen including a video and photos. When we received our boy he was absolutely perfect, what we expected and more! We also received his pedigree papers and immunisation card quite quickly. I would definitely recommend AmstarFX to anyone looking for a beautiful lifetime fur baby. Comments : Hello Kelly, just a quick note firstly to thank you and your family for all the help and advice throughout the puppy process. Our little bloke arrived safe and sound just as you organised for us at Canberra Airport. He is exactly as your photo's and video's depicted. Everyone, friends and family have all commented on how handsome he is, he is really keeping the kids on their toes, great playfull little bloke. It has been quite refreshing dealing with someone who is as genuine and eager to help as you guys have been, keeping in mind it was all done over the phone and net, interstate. An absolute pleasure, would not hesitate to add to our family again in the future, or recommend your Kennel. Cheers Anthony and family. Comments : Thanks for providing us with the most beautiful little boy. We have named him Jax, and he is an absolute delight. He has a fantastic temperament, is true to type, and is very evenly balanced. Kelly obviously takes great care in breeding for quality and temperament. Jax came to us in great health, and has fitted in very well with our family which also includes two other dogs and a cat. Kelly is very responsive to after care, and has been very helpful with ongoing questions. If you are looking for a quality AMSTAFF - I could not recommended Kelly highly enough.